Allergic rhinitis is common, but the same eye, nose, and throat irritation can also strike without allergies. Find out more about rhinitis and how to manage its symptoms. Find out more about how to use chlorine to purify water That is how my asthma/reactive airway problem started, constant coughing mainly in the mornings. 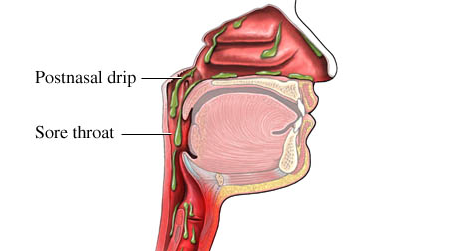 Postnasal drip, asthma, allergies (which can cause both of those problems), GERD, enlarged adenoids/tonsils can all plan a role. Sinus drainage is a result of a sinus infection or perhaps the aftermath of a cold. Sinus drainage can make breathing, speaking and even drinking difficult.